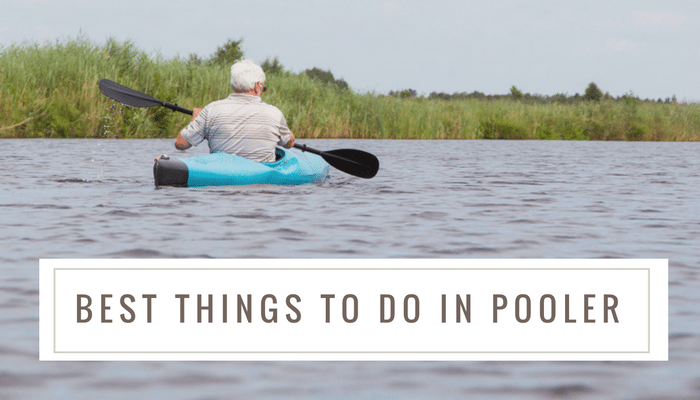 Whether you’ve just moved here, you are visiting or you’ve lived here for years and never experienced these things, here are some of our favorite things to do in Pooler Georgia. The Mighty 8th Air Force Museum is probably on the top of everyone’s list because it’s something to behold if you’ve never seen it before. This activity located at the Tom Triplett Community Park is the site of Lock #3 of the Savannah/Ogeechee Canal System that dates to pre-Civil War times. There are remnants of different buildings, Civil War tent mounds and remnants from Sherman’s army. The park is a great place to enjoy the outdoors, enjoy a bike ride or stroll around the large lake on a paved and lighted path. There are numerous outdoor activities such as kayaking, a disc torment court and regular festivals which take place at this park. The museum is located at 175 Bourne Ave. and is considered one of the world’s most powerful museum experiences. While you’re there you can enjoy a canoe or kayak ride down the Ogeechee River. Located at 318 Dublin Rd., you can rent several different models of kayaks and canoes based on your size and preference. This is a great way to unwind on the weekend and enjoy nature at its finest. The Oglethorpe Speedway Park located at 200 Jesup Rd. has been entertaining racing fans since 1951. There are different events throughout the year, group and military discounts are available and it’s a perfect family-friendly event suitable for all ages. Visit the website to find out what’s happening this weekend. They have camping available, food and fun at just about every event. Surf Lagoon Waterpark is located at 130 Town Center Dr. in Pooler. This is a great activity for the entire family with lots of water slides, swimming pools, a lazy river and stuff for smaller children. Speaking of fun for smaller kids, you can check out the Fun Zone Amusement & Sports Park and Frames n’ Games. Both offer a variety of arcade games, mini golf, go-kart racing and bowling. Pooler Georgia has lots of outlet shopping at the Tanger Outlets. One unique shop is the Peanut Shop of Savannah. Located at 200 Tanger Outlets Boulevard Suite 651, this unique peanut shop has lots of different flavors, samples, unique treats and a variety of things you can do with peanuts. In addition to all of these great events and activities Pooler has a wide range of shops, restaurants, markets, fine dining options, theaters and IMAX. What would you add to this list? In addition to all of these great events and activities, Pooler has a wide range of shops, restaurants, markets, fine dining options, theaters, and IMAX. What would you add to this list?